On the first weekend of November, John and I spent some days at my Barton house in Vermont so that John could roof half of the house. There will be more photos of that in the future. 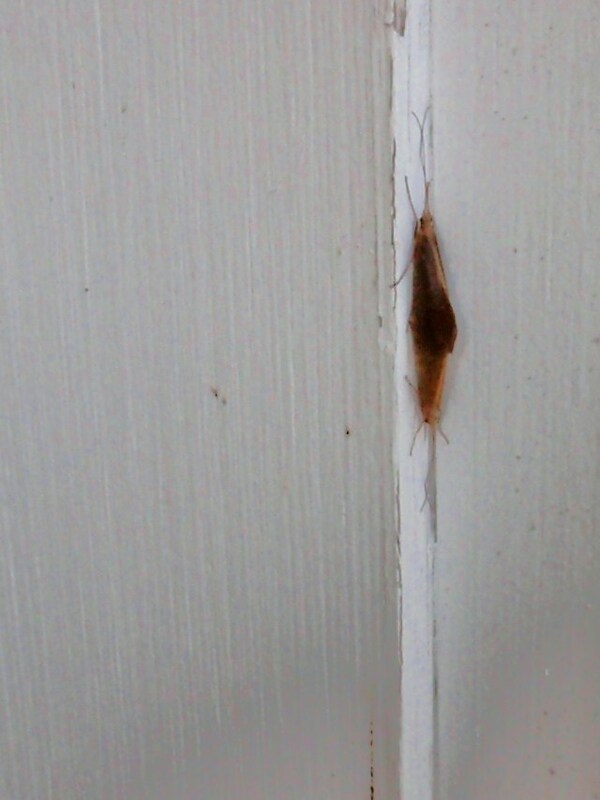 But this post is about the dozens of adult caddisflies that spent Sunday morning mating on the garage doors in the cold sunshine. I took photos of them but, once again, I only could use the Olympus camera, so the macros are not macro at all. I sent a photo to bugguide.net and asked for help with identification. Within one hour the caddisfly ID was returned (see the caddisfly page here). I was thrilled. I have photographed larval caddisflies on a science field trip a couple of years ago. Caddisflies are the aquatic insects whose larva build their own houses of sand or sticks. And now I have adult caddisfly photos! 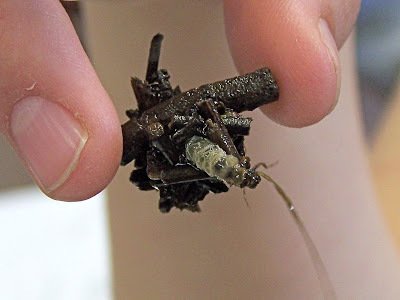 The presence of caddisflies is a great indication of your water quality. Caddisflies are very sensitive to pollution so they live only in clean water. The beaver bog, therefore, is clean because the flies came from there. Caddisflies are used for bait by fishermen. I am fairly confident that these caddisflies mating in the photo are Hydatophylax argus seen on the left. The photo is from bugguide.net and was taken by Tom Murray.